Do you have your own recipe? Share with us and who knows, you could feature on our website or win some cool prizes! Prepare the toppings on the base of your oven rack. When it's ready to go in the oven there's no need to transfer it anywhere - just put the shelf in with the prepared pizza on top! Strain a tin of good quality Italian tomatoes. Blend in a bowl with a teaspoon of olive oil and a pinch of salt. 4 tablespoons of tomato sauce covers a medium pizza base. Sprinkle a little oregano onto the tomato sauce before adding the cheese. 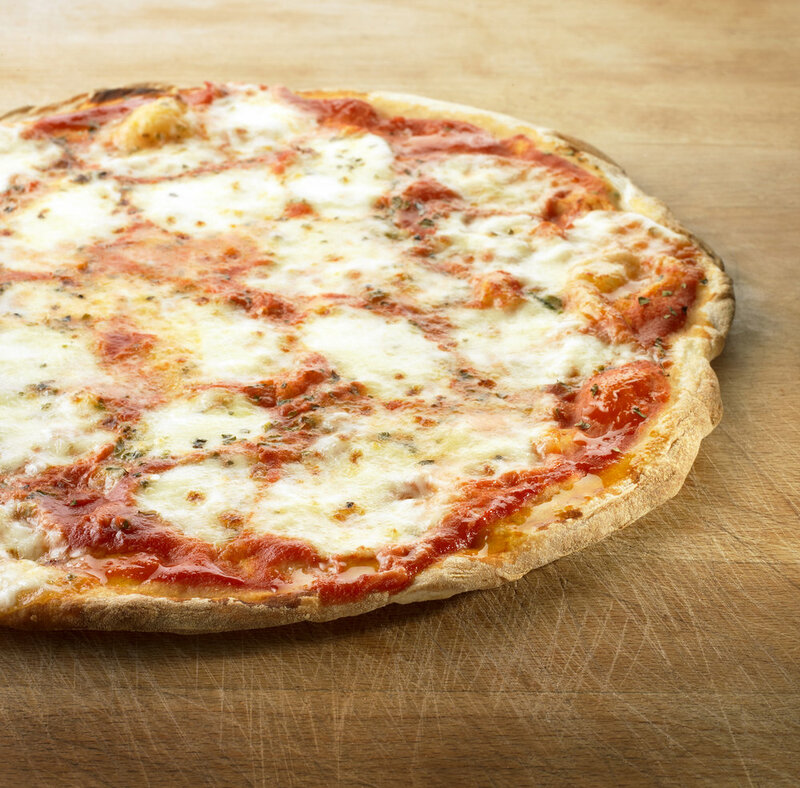 The perfect pizza cheese is FRESH mozzarella. Best to grill or cook them beforehand. It tastes so much better with vegetables that have been grilled and then dipped in a little olive oil and garlic. Be careful not to overload your pizza. These bases are very thin and will over-spill with too much weight. Fresh basil, rocket or other herbs may be added after the pizza is cooked.